Una mañana en la otra Guadalajara. I’ve always been curious about the capital city of Guadalajara, population 84,803. Everyone always talks about Segovia, Toledo, Ávila and even Cuenca, but Guadalajara flies under the radar. It doesn’t have any hanging houses, it doesn’t have three cultures, and there is no aqueduct or alcázar to boast of. However, it does have its charm. Siempre he tenido una curiosidad de Guadalajara capital, población 84.803. Todo el mundo habla de Segovia, Toledo, Ávila y incluso Cuenca, pero nadie conoce Guadalajara. Ni tiene casas colgantes, ni tiene tres culturas, ni tiene acueducto para atraer visitantes. Sin embargo, tiene su encanto. 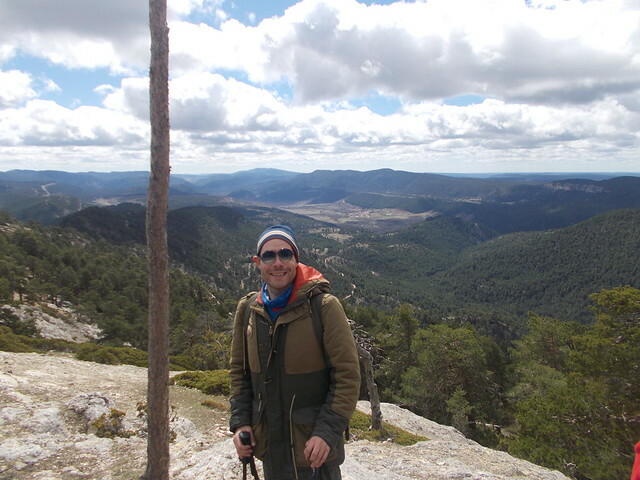 I’d been to the province a few times, to Sigüenza, to the Pueblos Negros and for a hiking excursion, but I’d never made it to the capital. While I was in Madrid in August, I decided to visit the city to see what it’s like. Había visitado la provincia unas veces. 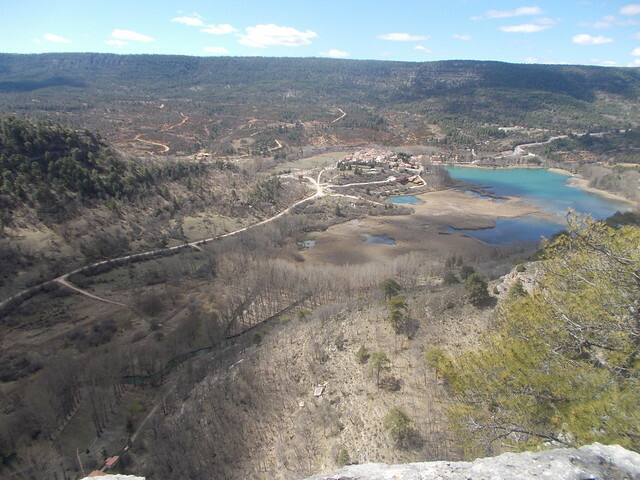 Ya conocí Sigüenza, los Pueblos Negros y también hice una excursión de senderismo allí, pero nunca había ido a la capital. Mientras estaba en Madrid en agosto, decidí visitar la ciudad para ver como es. It was a hot day in the middle of August, and I felt the heat every second. I caught Cercanías from Recoletos in Madrid. The journey to Guadalajara takes about an hour, and the station is about 1.5 kilometres from the city centre. Era un día caluroso de medias de agosto, y sentí el calor cada segundo. Cogí el Cercanías de Recoletos en Madrid. El viaje tarda sobre una hora, y la estación está a unos 1,5 kilómetros del centro de la ciudad. The city has some quaint churches and the River Henares adds to the experience. The co-Cathedral Santa María is another highlight. La ciudad tiene muchas iglesias pintorescas y la Ría Henares añade a la experiencia. La co-catedral Santa María es otra cosa que hay que ver. 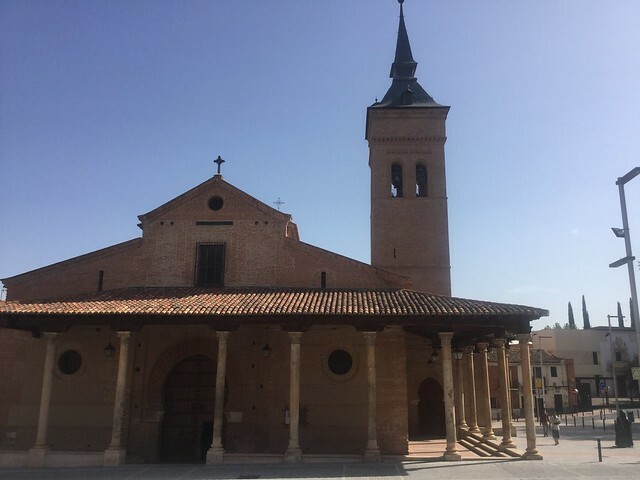 My plan was to stop in the more famous Alcalá de Henares, birthplace of Cervantes, but due to the heat and the fact I had been there once before, I decided to seek air conditioning before the afternoon. 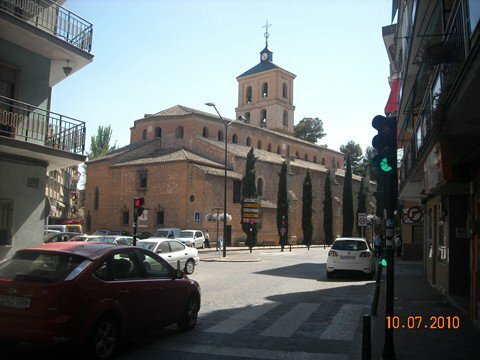 Mi plan era parar en la ciudad más famosa que está a lado, Alcalá de Henares, donde nació el Cervantes. Al final no paré dado al calor y como ya lo conocía. Quería buscar aire acondicionado para la tarde. 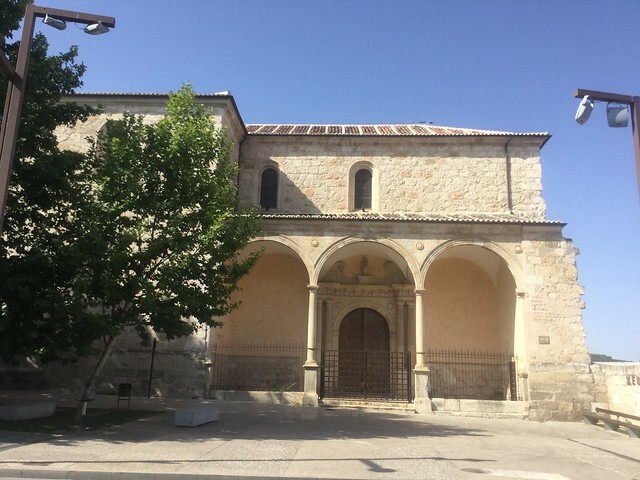 The Spanish Guadalajara may not be as famous as the Mexican one, but it has its charm and would be a great day trip combined with Alcalá de Henares for Madrid visitors to discover a different Spain. 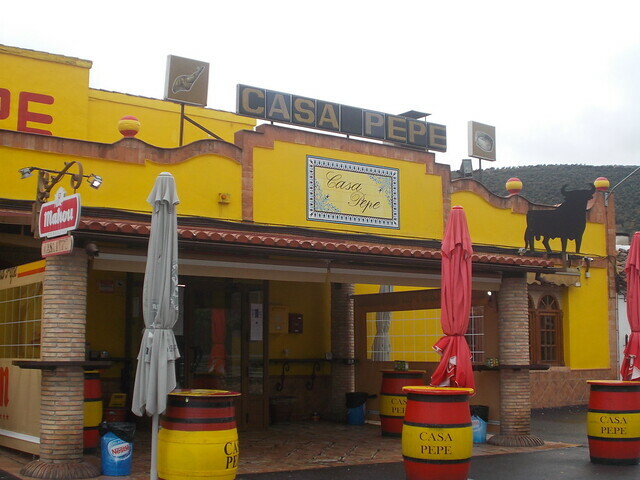 La Guadalajara española no tiene la fama de la Guadalajara mexicana, pero tiene su encanto y sería una buena excursión combinado con Alcalá de Henares para los turistas de Madrid quien quiere ver una España diferente. Ciudad Real…21st Century Spanish History come alive. The summer of 2010, the Spanish football selection made history when Andrés Iniesta scored the winning goal against the Netherlands. (It’s we not discuss the bleakosity of the 2014 World Cup). Spanish football fans will always be asking where you were when Iniesta scored the goal and Spain brought home the Cup. It was my first real moment of a shared Spanish cultural experience. I was in Daimiel, Ciudad Real, working at a summer camp with a bunch of teens (who are now all in their early 20s) who went absolutely mad (crazy mad, not angry mad) when Spain won. While I regret not being in Madrid or Valencia (I was in the process of moving from Madrid to Valencia), I couldn’t ask for a more authentic experience. Needless to say, this summer camp is my only real experience in Ciudad Real. I’ve canvassed the province many times via bus or train on trips to Andalucía, but I haven’t spent much time there. It is definitely “España Profunda”. 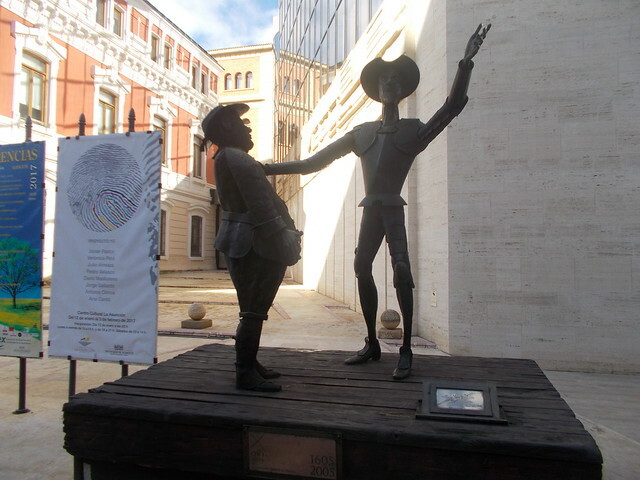 I wouldn’t be surprised to see Don Quixote himself looking for ways to impress Dulcinea even today (after the siesta and fútbol match, of course). 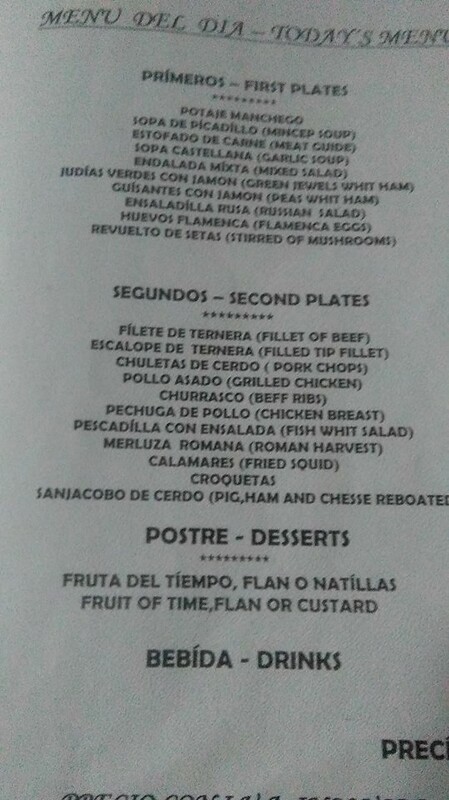 Ciudad Real probably doesn’t spring to one’s mind when they think of Spain or even Castilla. 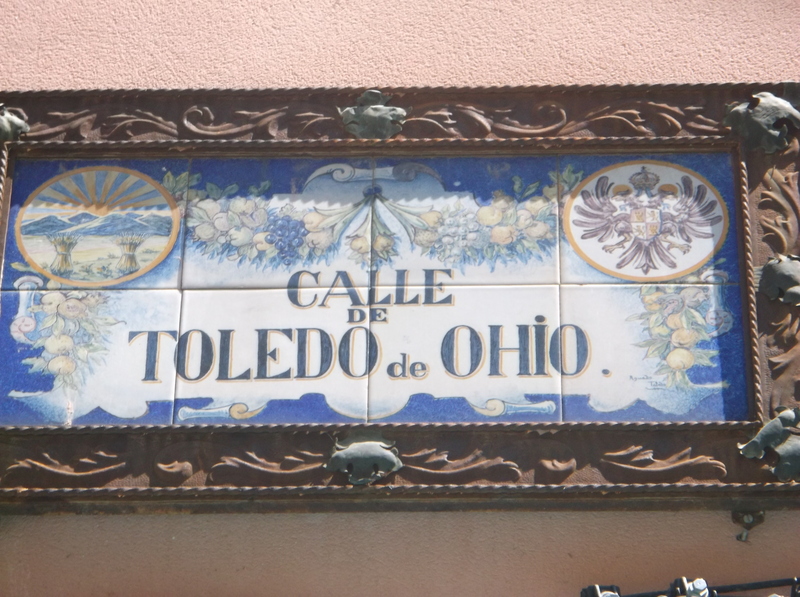 Toledo and Cuenca are far more popular, even amongst the Spanish, who are travelling through Castilla (which is the heart of Spain…and the equivalent of the heartland.) It’s agricultural and rural, ranking 46 out of 50 provinces in population density. It has two national parks (one I’m listing as one of the meravelles). 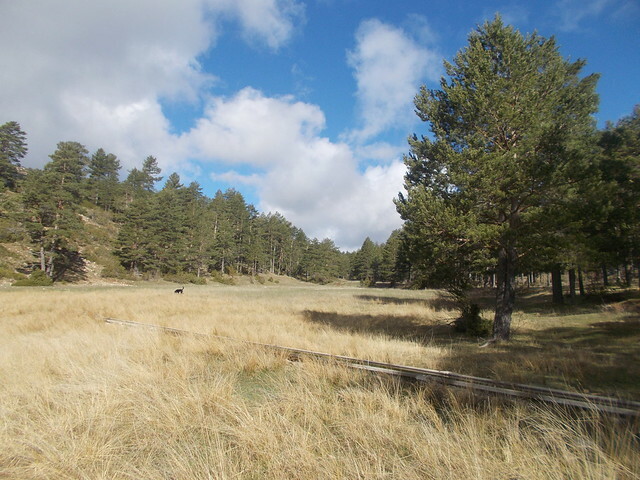 Much of the province is a plain (La Meseta Central), yet has extremely dry summers. Just pointing out that Professor Henry Higgins and Eliza Dolittle are LIARS. (I’m a bitter sun-chaser located in the rain of the Basque Country that would drown even Noah at this point.) 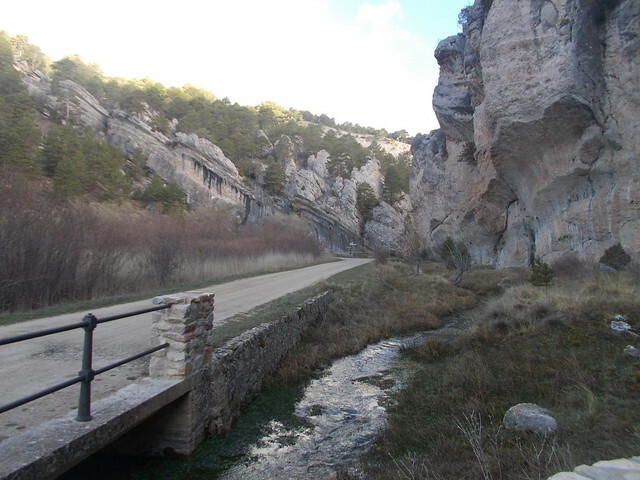 The south of the province features the Sierra Morena (the Black Mountains). The capital city has 75,000 habitants and is located 185 kilometres (115 miles) from Madrid. A lot of the places I’ve seen from the train and bus crisscrossing the province look enticing to me. They may disappoint when I finally get to visit them, and they may impress me. 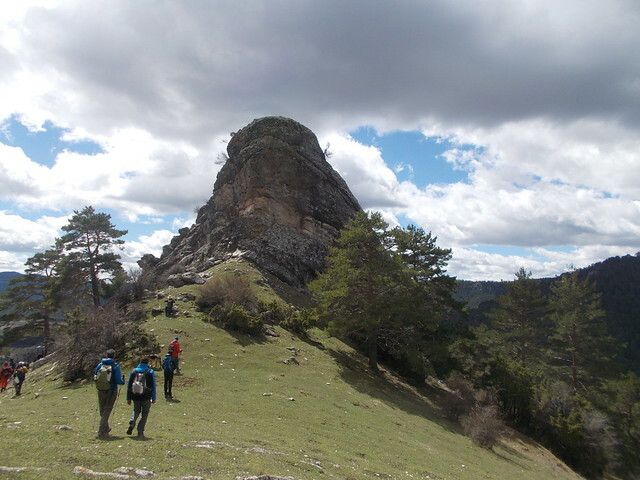 But for now…a list of potential seven wonders for the province of Ciudad Real. 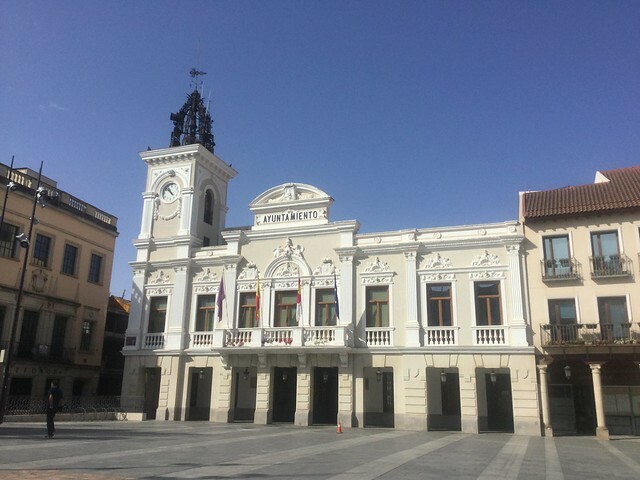 The province capital, Ciudad Real, which is also a stop on the AVE (high-speed train), dates back to the 13th century and Alfonso El Sabio (the Wise). 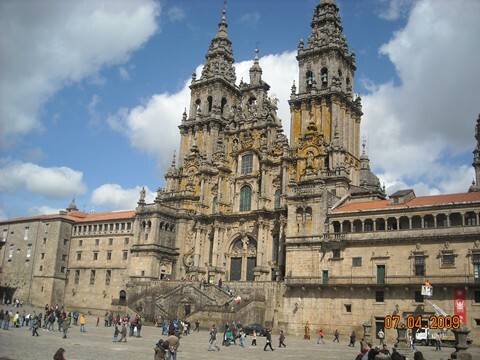 Their cathedral boasts the second largest nave in Spain and their Plaza Mayor is quite attractive. They have two walls from the time it was a walled city, and they also have an infamous airport for sale for only 80 million Euro (mocked in Pedro Almódovar’s Los pasajeros amantes.) And for me, the most attractive thing in the city would actually be a museum. 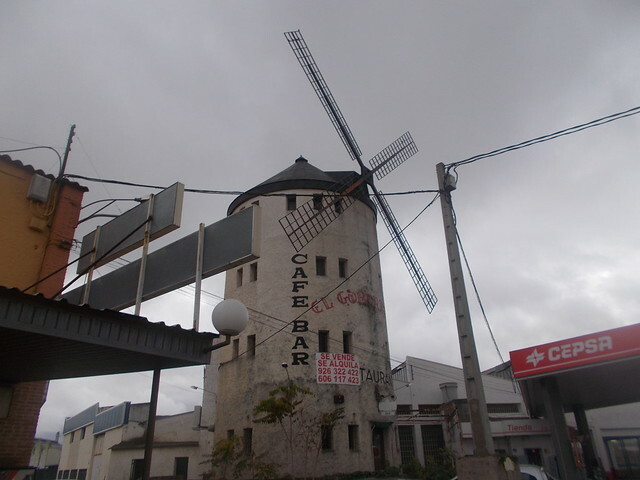 The Museum of Don Quijote. I love the Quijote. Located 60 kilometres apart (36 miles), the two Calatrava Castles from the Order of the Calatrava are a tourist attraction for castle aficionados. 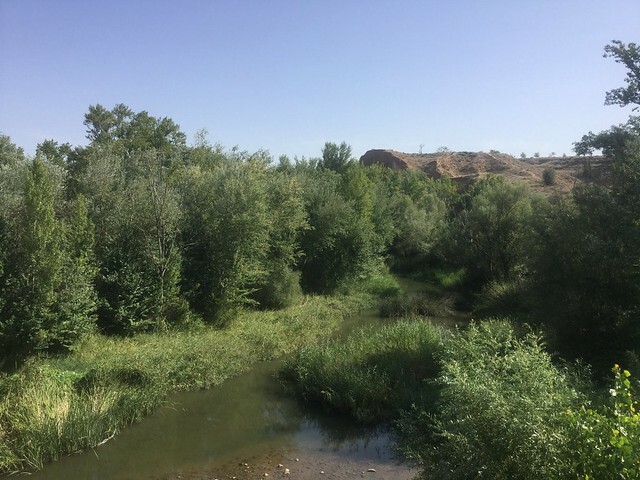 The original castle dates back to 785 and was once part of the only important city in the Guadiana River valley and guarded the roads between Córdoba and Toledo. It was originally Muslim and conquered in 1147 by Alfonso VII. It was reconquered by the Moors but reconquered again by the Christians for good in 1212. 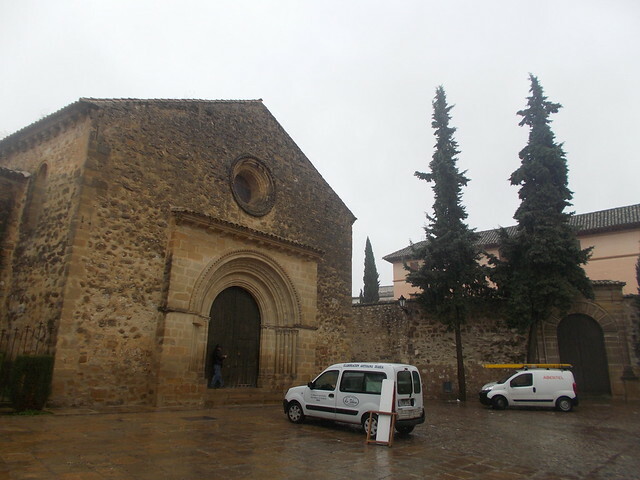 However, the Order of the Calatrava moved to Calatrava La Nueva in 1217. 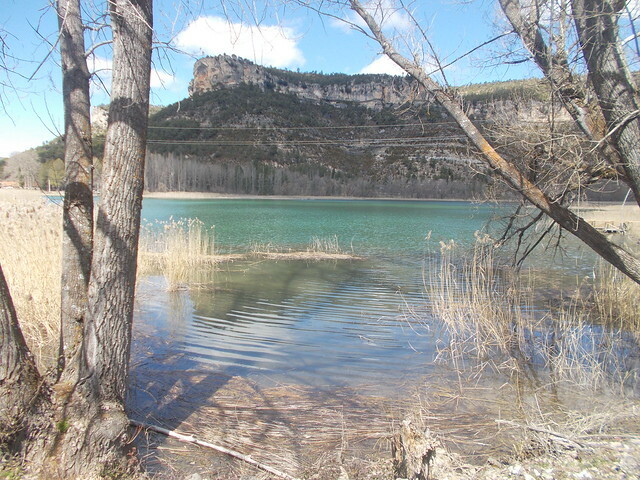 The “newer” castle is located in Aldea del Rey (the King’s hamlet for those who don’t speak Spanish) while the old one is located in Carrión de Calatrava. Manzanares, population 19,186 as of 2009, looked quite nice from the Madrid-Linares (Jaén) train when I passed it my first year in Spain, and I’ve always wanted to stop here and Alcázar San Juan. 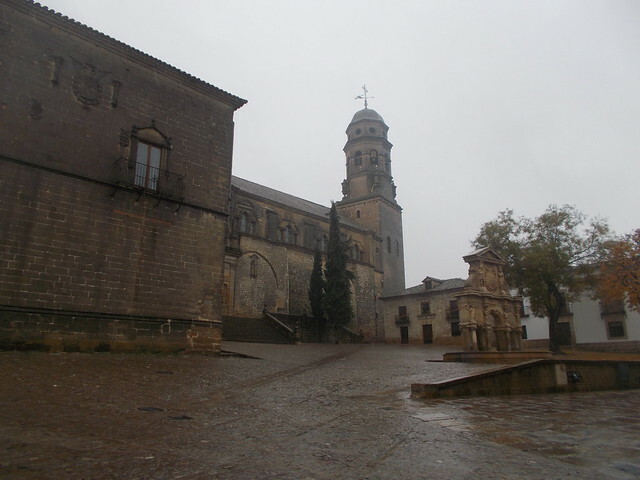 Manzarares has a castle, the Museum of Manchego Cheese (Museo de Queso Manchego) and several churches and ermitas. It’s located 60 kilometros (36 miles) from the province capital. Villanueva de los Infantes, population 5727, is, according to the Universidad Complutense de Madrid, “el lugar de La Mancha, de cuyo nombre no quiero recordarme” (the place of La Mancha whose name I don’t want to remember). For those who haven’t read el Quijote, those are the starting words of the novel. 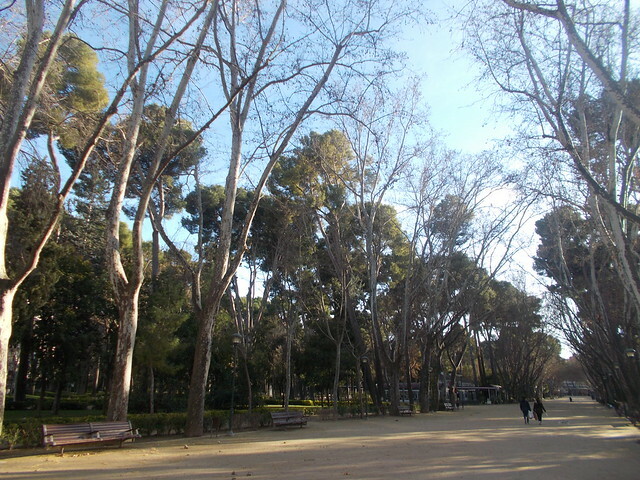 It is also the place where Francisco de Quevedo died, which means it is a Spanish major’s dream place to visit. Although the windmills from Consuegra in Toledo are more famous, the small city of Alcázar de San Juan, population 30,675, also boasts windmills and is a good base to explore the Ruta de Quijote. It also has a tower and a few churches. It was formerly a major railway hub. Although known to be an industrial city, Puertollano, population 50,000, looked very interesting from the AVE Sevilla-Madrid in 2012 when I passed it. I have no clue why some things catch my attention, but this city did. The “puerto” in its name is for “pass”, not port, as it’s far from any water. 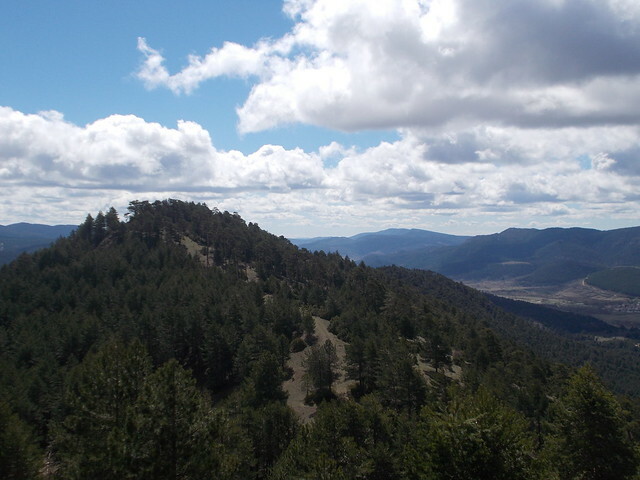 It’s located on the slopes of the Sierra Morena, so it’s not flat either (“llano” is plain). 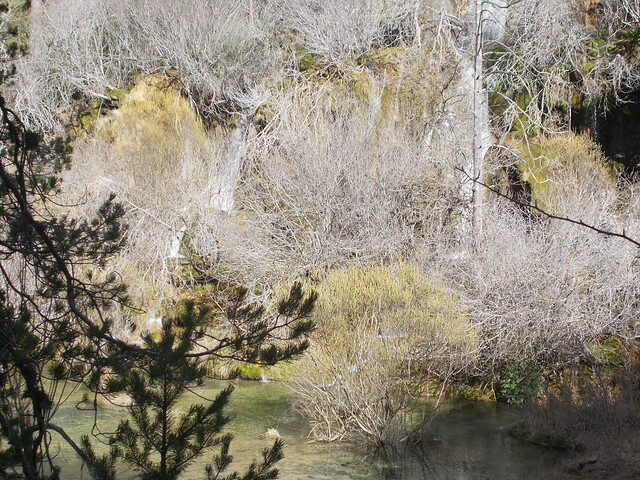 It’s the home of some botanical gardens, a few churches and a place to rest from hiking in the Sierra Morena. Cuenca and some hanging houses. 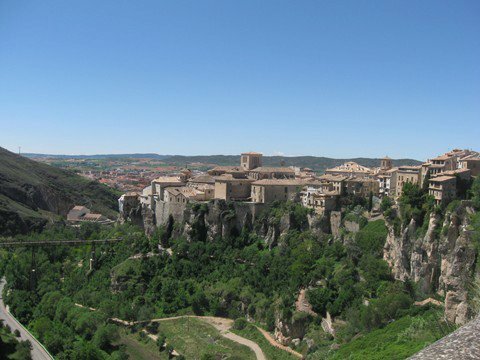 Cuenca is a province in Castilla La Mancha, halfway point between Madrid and Valencia. I’ve unfortunately only been to the capital once, but I have criss-crossed the province by bus (and a few times by AVE) between Valencia and Madrid more times than I care to count. 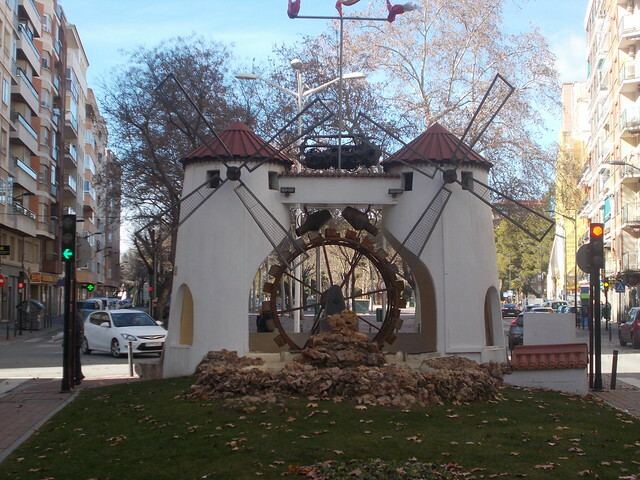 Castilla is the land of Quijote, and even today you can still imagine our favourite knight in crazy armour crossing the hot and dry (or cold and dry in the winter) land in search of ways to impress his beloved Dulcinea (most of the important places are in neighbouring Toledo though). 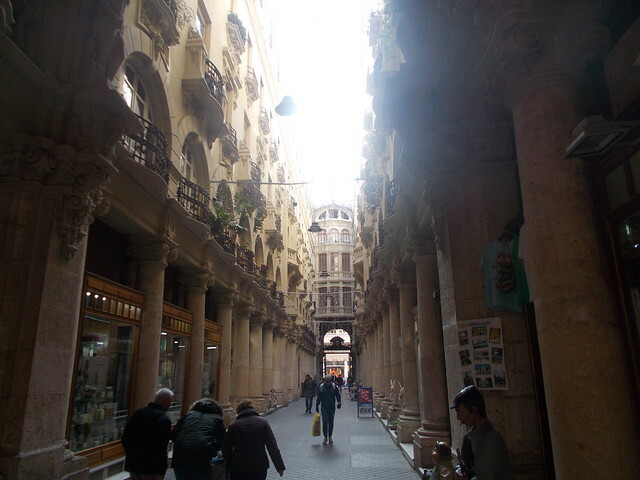 My visit to Cuenca was a Sunday in May in 2011 right before I was about to leave my beloved Valencia. I caught an early train from the San Isidre station, as they were still working with the then recently-opened AVE that runs between Madrid and Valencia (it’ll already celebrate its fifth anniversary this year?) . The train ride was about two hours. Now I could catch said AVE (and probably could have that day but was running low on cash). I walked around town, having my tostada con tomate and café con leche in a run-down bar near the Plaza Mayor and walked around some before arriving at the Hanging Houses. 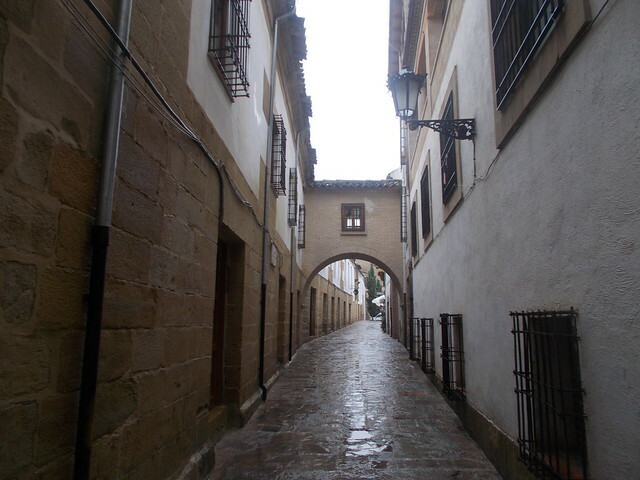 The houses were amazing, as is the Casco Viejo or Cuenca Alta. I hiked a little bit around the river to see some of the most amazing views of the city, and I crossed the bridges a ton to look at the city from different angles. I was tired so I caught an early train back, vowing to return with a fresh face. I am still waiting for that return visit. I found this in my private journal from the day I went. I doubt myself too much, as that self-doubt still happens! It is sometimes good to look back and see how I’ve grown as a person and hopefully as a writer (although the private journal *is* for my eyes only!). 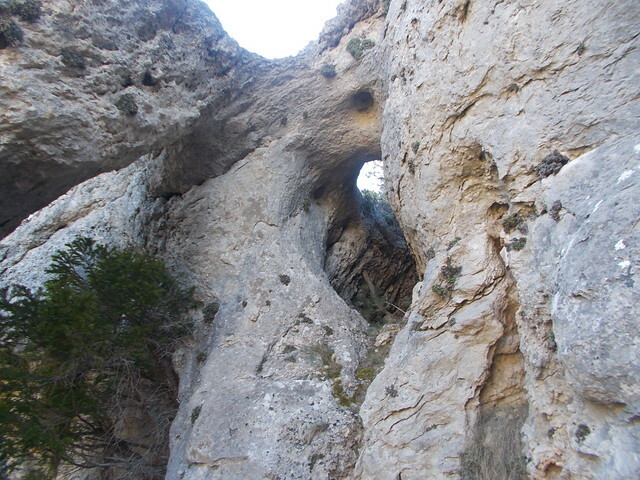 I went to Cuenca today. It was a three-hour train ride from Valencia. I nearly didn’t go. I couldn’t sleep last night. I woke up in a bad mood. I kept giving excuses not to go. I got to the train station to find out it left from Sant Isidre and not Valencia Nord. And the automatic ticket machine kept refusing my card (I need to get my new card before I move). So I caught the metro again. I stood there looking at the schedule not sure if I should go. And then I made myself buy the ticket. I slept some on the train but not much. Cuenca is a beautiful city in the mountains, very green, and very Medieval. 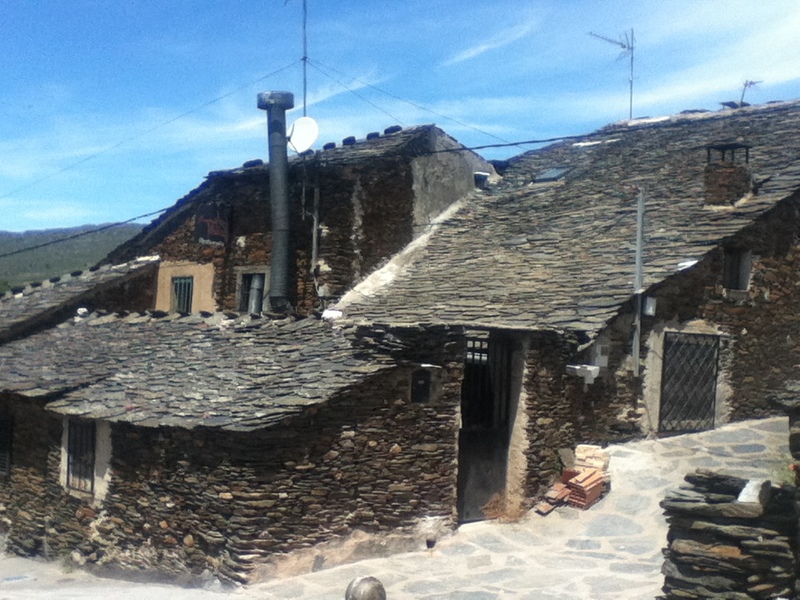 It has “casas colgantes” and beautiful views. I ended up eating at 100 Montaditos, a now former fave because of all the changes they have made that are not conducive to my diet. Ah well. I caught the early train back due to all the metro issues in Valencia and because of how tired I am. 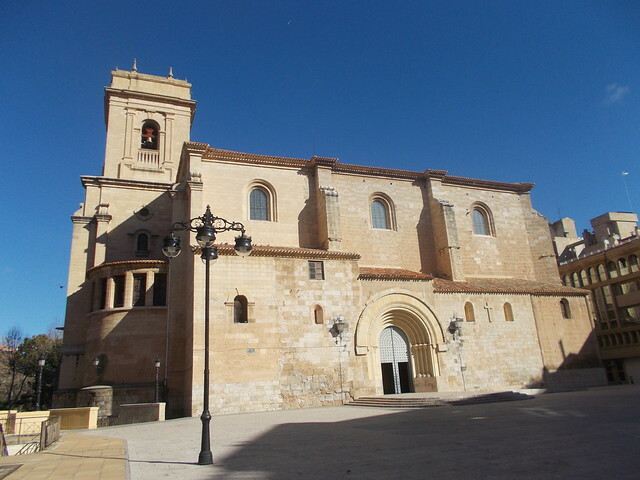 In 1996, Cuenca (population 57,000) was named a World Heritage Site for its historic centre, Cuenca Alta. Cuenca has castle ruins, the Mangana Tower (Torre Mangana), Paseo de Huécar, Arco de Bezudo and many miradores and plazas to enjoy. It’s a great place for a Sunday afternoon stroll. La Ciudad Encantada is not an actual enchanted (or haunted) city but a place where nature (weather and the Júcar River) have created some pretty interesting rock formations, such as the Mushroom Rocks, the Stone Sea or the Hippopotamus. 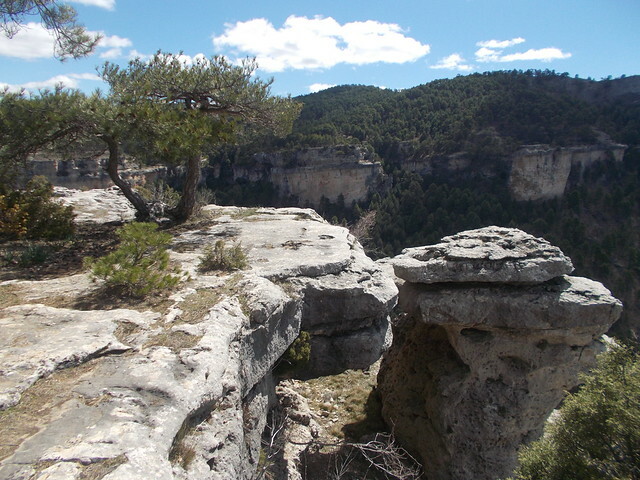 The rock formations date back to the Cretaceous Period. 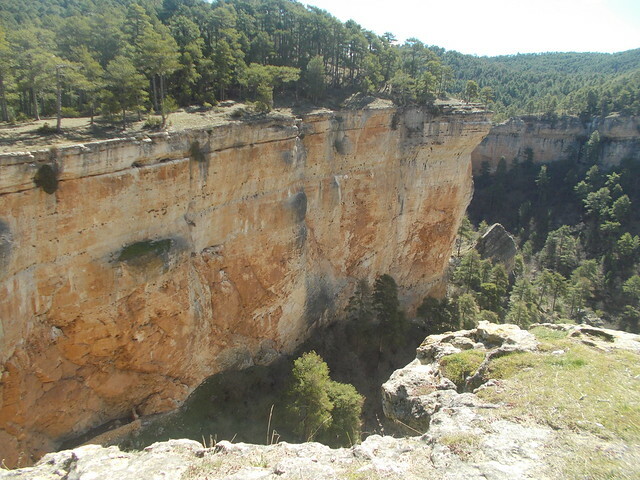 It is located near Valdecabras, about 30 kilometres (18 miles) from Cuenca capital. Alarcón, population 159, is a tiny hamlet 87 kilometres (52,2 miles) from the province capital on the Río Júcar. 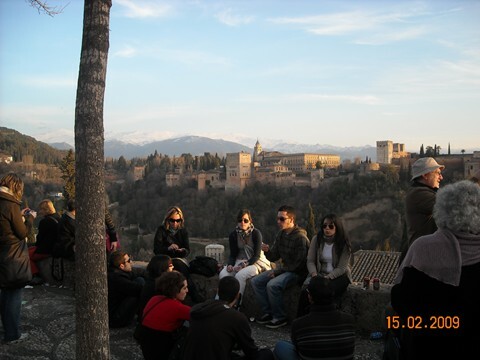 It boasts of a castle that is on the list of Spanish Bien de Interés Cultural. The Castle of Belmonte is part of the Ruta de Quijote and has been a National Monument since 1931 according to the Bien de Interés Cultural. Construction began in 1456 and is one of the best conserved castles in the peninsula. They sometimes reenact medieval battles. 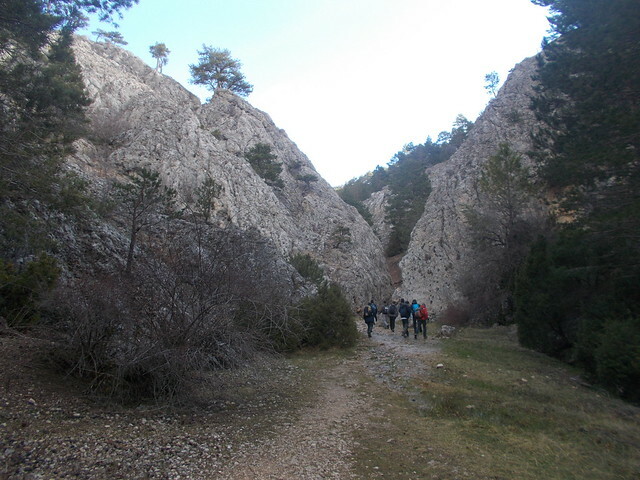 La Ruta de las Caras is a path in Buendía, population 438 according to Wikipedia on March 8, 2015, that passes by many faces sculpted into rocks. Some say it’s the Rushmore of Spain, but to me, the faces are quite different. I just found out about this awesome route today while researching Cuenca, and I may have to go back to Cuenca just to see these faces carved into the rock. It’s an easy route that takes about an hour to complete, and Buendía is located about an hour from Cuenca capital (83 km/49.8 miles). It looks like you need a car to get there, unfortunately for those of us without a car. 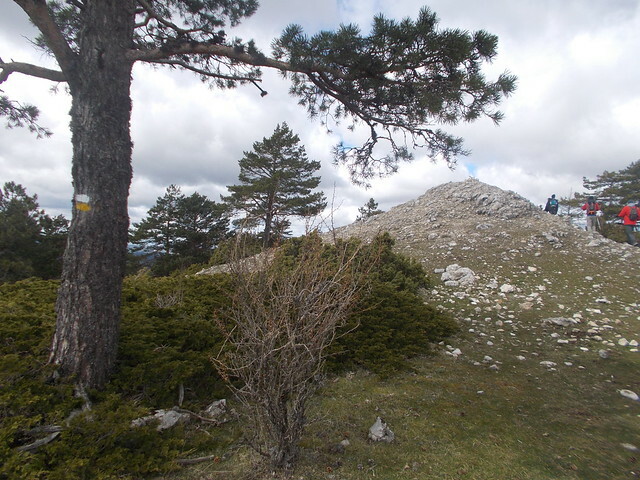 The archaeological park of Segóbriga was once an important Roman city and the ruins are one of the most important on the Spanish mesita. It’s another National Monument on the Bien de Interés Cultural and has been since 1931. 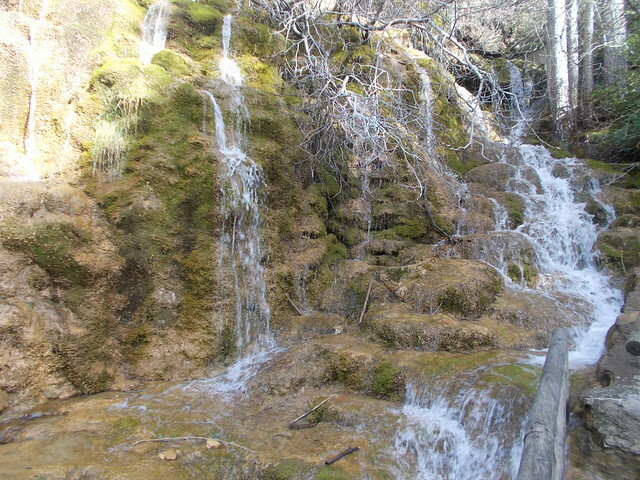 It’s located near the village Saelices, 76 kilometres (45.6 miles) from the province capital. It has a Roman amphitheatre, theatre, fountain, acropolis, aqueduct and circus.